An inadequate housing supply can be a roadblock to business investment and growth, and influences a potential immigrant’s decision on whether or not to a region or not. According to Michael Lennon, CEO, Housing Choices, Australia this is an ongoing topic at a very acute time for many countries where the supply and pricing of accommodation is causing extraordinary difficulties for the people who are most vulnerable. Lennon is a speaker at the marcus evans 2nd Annual Affordable Housing Projects Conference taking place in Kuala Lumpur on 25-27 July. The event will examine the challenges and successes of different housing models and look at the opportunities for funding and institutional design. Lennon says that thanks to the persistent challenges brought about from the global financial crisis and recession a vastly different housing landscape exists today. Also, a growing demand for housing exists due to increasing populations. Changes in both emigration policies and economic structures - rural through to urban migration – also play a significant role. 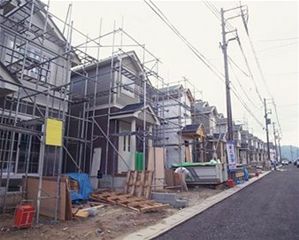 With many countries undergoing a transition from rural to urban economies, policy makers must tread carefully when it comes to the supporting infrastructure such as housing, he explains. “History is littered with problems of rapid urbanisation from Europe in the 19th century with overcrowding, poorly designed, rapidly constructed buildings and inadequate infrastructure. Those same characteristics can be found in many societies in developing countries 150 years later. The ordeal suffered by various economies at the hands of an overheated property market must be carefully guarded against in future. “The instability of financial markets around the world has made credit for new urban projects of all kinds much more difficult. Whether they’re financed publically or through private sources there’s a significant constraint in ensuring a sufficient supply of funding into housing markets. We’ve also see significant movements in wealth with fluctuating property prices and the exposure of individuals to mortgages and in some parts of the world increasingly prominent default rates. In others we see the demand for government assistance rising much more quickly. “The constraints in private rental markets have also started to bite. There is no magic method of dealing with this other than us knowing the effects of significant fluctuations in residential property markets are disproportionately felt by people on the lowest incomes and that’s where the demand for affordable housing interventions lies,” he said. The marcus evans 2nd Annual Affordable Housing Projects Conference will take place in Kuala Lumpur on 25-27 July.